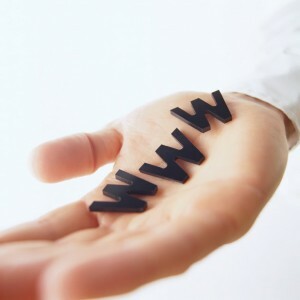 Your website domain is the face of your online presence. It’s also the first impression visitors get of your practice – before they even get to your website. It should be simple to read, simple to say, and simple to remember. In short, your chiropractic domain name is the URL (i.e. AshevilleChiropractic.com) purchased for your website. It’s generally the first thing to consider before starting the website development process. But it’s not as easy as you may think. There are many factors that go into securing (and retaining) the right domain name. And below are three of these factors that are, in fact, three of the most common fallacies. There are many misconceptions as to how a website actually operates. And these misconceptions can cause confusion when you’re in the beginning phases of building a site. For instance, many people view domain names and hosting as the same thing. This is a common fallacy that is largely perpetuated because the two are often rolled into the same package. Your domain name is nothing more than your website’s URL. Website hosting is a separate service that secures space on the Internet for your website to live. Without publishing your site to a hosting service, prospective patients won’t be able to find you. While this is technically true, you want to make sure your domain name matches your branding. For example, after expanding your practice, you decide to change your practice name to “Raleigh Chiropractic Health.” Your website recently got a facelift, but your domain name does not reflect your practice’s new name. Is this is an issue that can be ignored? Absolutely not. Consistent branding is an integral part of your practice identity. And your domain name is no exception. Referring to the example above, a good domain name might be “RaleighChiropracticHealth.com”. A domain unrelated to your practice name will incite confusion for people trying to find your practice. Moreover, it could be a source of distrust. For instance, a prospective patient might reverse course after finding a practice called “Raleigh Chiropractic Health” only to see a domain name of “JohnsonFamilyChiropractic.com”. When you register a domain, you’re paying for the right to use that domain for a defined period of time. This timeframe generally lies between one and ten years. To retain ownership, you’ll have to pay a renewal fee after your initial registration period expires. You don’t automatically have the right to keep your domain name forever. If you fail to renew, your domain goes back into a general marketplace where it’s available for anyone to purchase. This would leave you vulnerable to competitors or anyone else interested in that domain (which is why we do this monitoring for our clients as part of our service). So be mindful of your renewal date. As long as you continue to pay your renewal fees, it is essentially yours until you decide you no longer want it. Struggling to decide on a domain name for your practice? Click below and we’ll provide you with a free domain name search, along with a few suggestions from our experts!